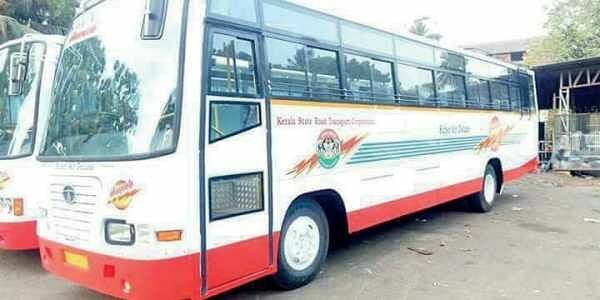 THIRUVANANTHAPURAM: Following the controversy over its Kasargod-bound ‘Minnal’ bus crew’s refusal to stop the bus at Payyoli for allowing an 18-year-old girl to disembark, KSRTC on Monday said the ‘limited stop’ nature of the service will be maintained, despite passenger complaints. Citing an order issued by former KSRTC chairman and managing director, the officers said the service will only make scheduled stops unless there was an emergency. “Will the passengers make similar demands for stops while travelling in a Rajdhani train?” wondered a senior KSRTC funcationary, while referring to the incident, in which the girl had demanded she be dropped off at Payyoli early on Saturday, but was not allowed. “The ‘Minnal’ bus service has to stick to its ‘one-stop-per-district’ rule to ensure punctuality,” the officer said. In the past, passengers had made several complaints regarding the service and demanded the service have more stops. However, the officer said private bus operators who lost patronage due to the KSRTC service were behind the ‘complaints’. “Minnal is popular because we are able to reach destinations in a short time. Passengers who make unreasonable demands for unscheduled stops forget about the convenience of the rest of the passengers,” said the officer. While the Transport Department had issued a notification in November, 2014, demanding KSRTC buses allow women passengers to alight at any point they demand between 6.30 pm and 6 am, a June, 2017, order by the KSRTC chairman and managing director had exempted ‘Minnal’ from it.